A one-night event designed to amplify the hope and life that is in Jesus and the call of Christ on student’s lives to share that reality. Pre-party begins at 6pm with games, free food, inflatable zorbs and obstacle course, a GaGa ball pit, and a DJ from The Edge Urban Fellowship. The main event starts at 7pm with Grand Rapids First Worship. For the past eight years, Jarrett has served as Teaching Pastor at Prestonwood Baptist Church in Plano, Texas, one of the largest and fastest growing megachurches in North America. As part of the Preaching Team, he preaches during the Saturday Worship Service at the Plano Campus and on various Sunday mornings at both campuses. Jarrett also oversees the Prestonwood Network, which gives support to ministers all over the world who are leading churches planted by and in association with the church. 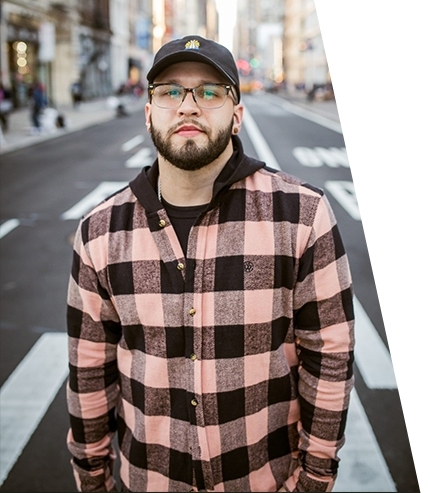 Reach Records artist Andy Mineo grew up in a single parent home and was a troubled kid. Music became his outlet. His mix of Pop/Hip-Hop now serves as energetic, positive influence for tens of thousands. His sophomore album Uncomfortable, became the No.1 Independent record in the country and delivered a No.3 and No.10 position on Billboard’s Hip Hop and Top 200 album charts, respectively His unique approach combines artistic vision & cultural influences into unforgettable media experiences. God is using students to spread His name across West Michigan.